New York, October 2, 2012 — Hughes Hubbard & Reed announced today that John M. Townsend, partner and co-chair of the firm’s Arbitration and Alternative Dispute Resolution (ADR) Practice, has been appointed to serve on the London Court of International Arbitration (LCIA) Court. Townsend is a litigation partner in the Washington office of Hughes Hubbard and is co-chair of the Arbitration and ADR Practice Group. His practice focuses on complex disputes, particularly international disputes, both in court and before arbitral tribunals, and acting as an arbitrator. Most recently, Townsend led the Hughes Hubbard team that represented Canada in an LCIA arbitration captioned The United States of America v. Canada, in which all claims against Canada were dismissed. 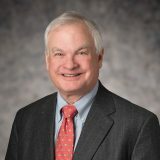 Townsend served as Chairman of the Board of Directors of the American Arbitration Association (AAA) from 2007 to 2010, and was appointed by President Bush to a six-year term as one of the American members of the Panel of Arbitrators of the International Centre for the Settlement of Investment Disputes (ICSID) in 2008. The LCIA is one of the leading international institutions for commercial dispute resolution. Its organization, operation, outlook and services are worldwide, in the fields of arbitration, mediation and other forms of ADR.